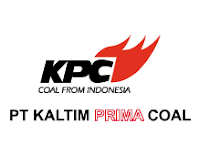 Kaltim Prima Coal - KPC operations are located around Sangatta, the capital of the East Kutai Regency (Kutim), in the East Kalimantan province of Indonesia. The town is on the Sangatta River, 50 km north of the equator on the east coast of Kalimantan Island, 180 km north of the provincial capital Samarinda and 310 km north of the major population centre of Balikpapan. KPC has a number of operating pits in the Sangatta mining area mined directly by KPC and by contractors. In June 2005, Mining operations commenced at the Bengalon mine approximately 25 Km to the north of the Sangatta. Bengalon mining operations are contracted to PT Darma Henwa. KPC's Sangatta mines are close to the port facilities at Tanjung Bara which is linked to the mine by an overland conveyor of approximately 13km in length. The Bengalon mine is also close to the coast being linked to its port facilities by a 22km haul road. The close proximity of all the mines to the ports provides KPC with the advantage of low mine to port transportation costs. Capable of dealing with claim management resulting in strategic resolutions based on technical, commercial and legal aspects under the Contract. Experienced in contractual & communication integration of split project packages covering overseas & local supply, logistics process (packaging in containers/break-bulk, vessel arrangement, transshipment, port handling, storage, lay-down, customs clearance, etc) and project construction on site. Proven market place experience and understanding of site specific issues. Computer knowledge in Ellipse, Excel and MS words. Good analytical and negotiation skill. Excellent interpersonal and communication skill (oral & written) in Bahasa Indonesia and English. High commitment to safety and environmental regulation. D-3 with at least 5 years experience or S-1 with at least 3 years experience in processing plant or mobile equipment operation. Safety related qualification or experience i.e. in risk assessment, job safety analysis, accident investigation, etc. is desirable as this position will be required to lead/facilitate the process and train/coach others. Good interpersonal skills to liaise with personnel at all level from various departments/divisions and contractors. Good presentation skills to conduct interesting safety talks and safety training programs. Please indicate the position code in the email subject.